Today, the Enough Project published a new mapping report, “Splintered Warfare: Alliances, affiliations, and agendas of armed factions and politico-military groups in the Central African Republic.” Through innovative graphics, Enough’s Central African Republic (CAR) Researcher and Analyst, Nathalia Dukhan, details the military and political strategies of the many armed factions currently active in the Central African Republic. 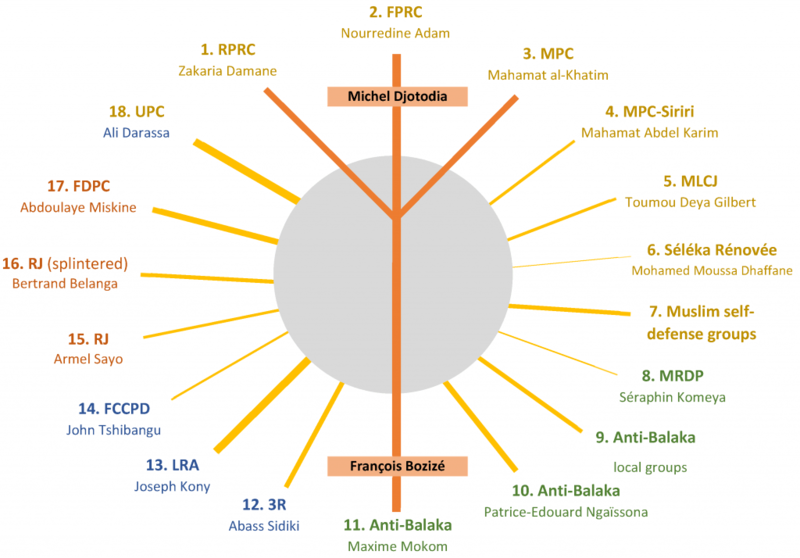 As tensions build and instability spreads once again in the CAR, understanding armed factions’ origins, motives, and proliferation is critical. Dukhan’s report explores and explains the dynamics within and between these groups.